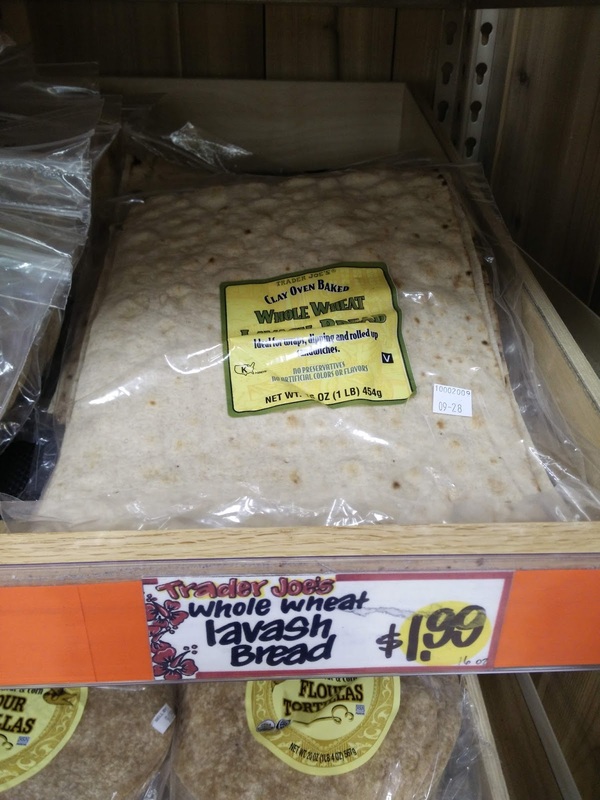 It's hard to find crackers in the store that are oil-free and not loaded with ingredients coming from a laboratory. If you don't have time to bake, you've got to get creative! This week, I found Clay-Baked Whole Wheat Lavash at Trader Joe's which is made with simple, whole ingredients and NO oil. 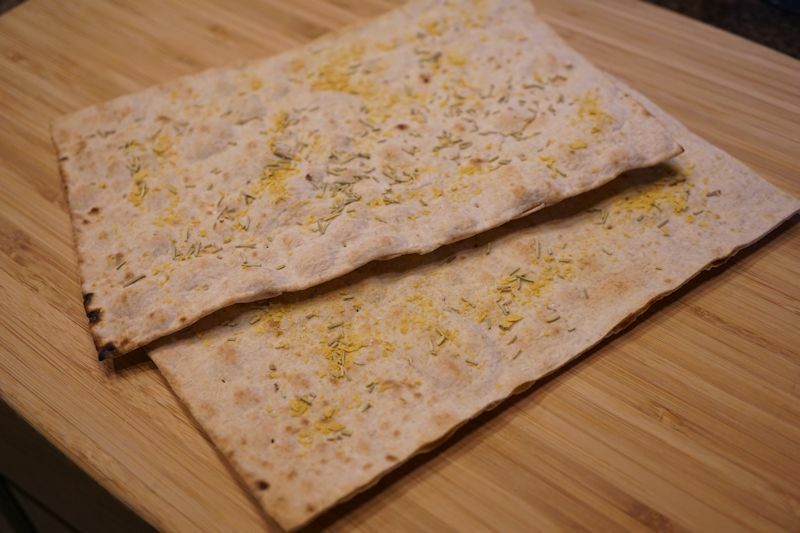 I cut a piece in half, lightly brushed the tops with water and sprinkled on dried rosemary, a fairy-dusting of nutritional yeast flakes and salt. Then, I placed them in my toaster oven on 325 degrees for 5-8 minutes (until they crisped up but didn't burn), and WOW! These "crackers" were amazing! BE CREATIVE. Make something out of something else! Thank you for this great idea! I picked up some at TJs and tried them with your suggested seasonings and liked it very much. Then I decided to experiment and had so much fun: salsa & pizza seasonings; diluted maple syrup/water and cinnamon; tamari & dulse flakes; even a little curry and onion powder. Now I finally have snack crackers again ... exactly as I like them, whenever I like them. Really appreciate your site and ideas! All of those toppings sound amazing!! !